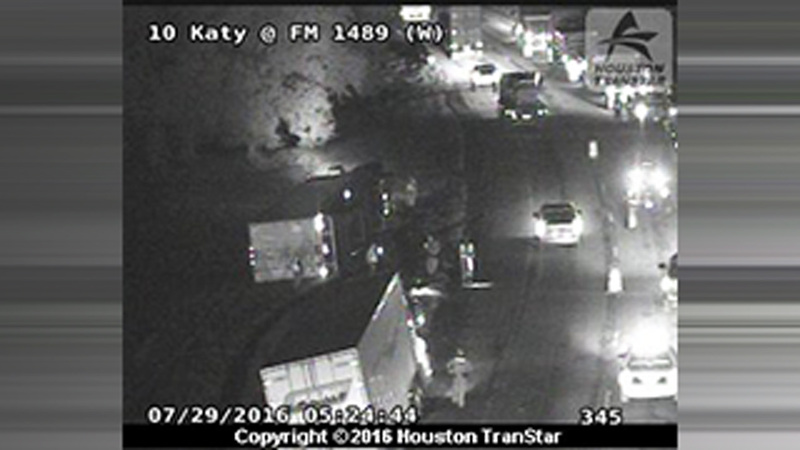 Overturned truck jams I-10 EB at FM 1489 in Waller Co.
WALLER COUNTY, TX (KTRK) -- Traffic is starting to back up behind an overturned truck on the eastbound lanes of I-10 at FM 1489 in Waller County. Traffic anchor Katherine Whaley says only one lane is able to get by on the left. Emergency crews are on the scene, with the 18-wheeler laying on its side in a grassy area just off the left shoulder. We do not yet know if anyone was injured in the wreck or how the truck flipped.